FRIDAY FEATURE! WOOD RIVER FAMILY DENTAL! With the holidays in full swing, is your smile ready for family photos? If not, give our tenant Wood River Family Dental a visit at 1915 Vaughn Road in our PLAZA WOOD RIVER Shopping Center! 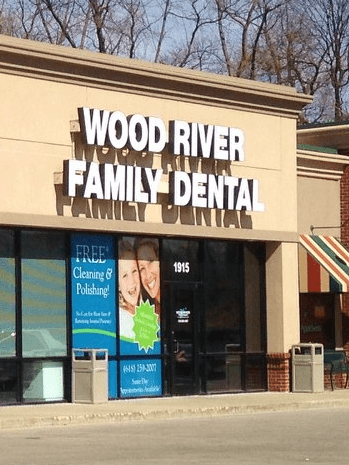 Perfect for Illinois residents, and not far across the river for those in St. Louis, Wood River Family Dental specializes in general and cosmetic dentistry. Let them help you get a smile you are happy to show off this holiday season! Previous Post GIVE IT A TASTE! Next Post COMING SOON TO GRAVOIS BLUFFS PLAZA!